Brookdale - The Parkes Companies, Inc.
Parkes Construction acted as the General Contractor on the new Clare Bridge at Brookdale Place which opened December 2015. 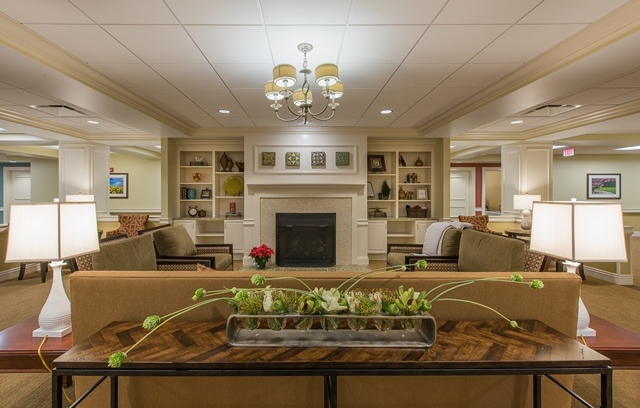 Clare Bridge is a 38 bed, 28,000 square foot memory care unit. 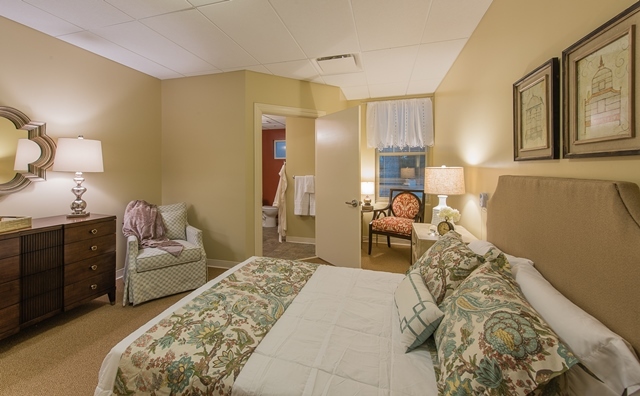 The one story, light gage metal framed building consists private and shared residential living units, common gathering spaces, administrative offices, therapeutic rooms, and a full service dining facility. Interior finishes included: Painted walls, custom millwork and casework, granite and cultured marble countertops, acoustical ceilings, ceramic tile, carpeting, VCT, luxury vinyl plank flooring, and sheet vinyl. 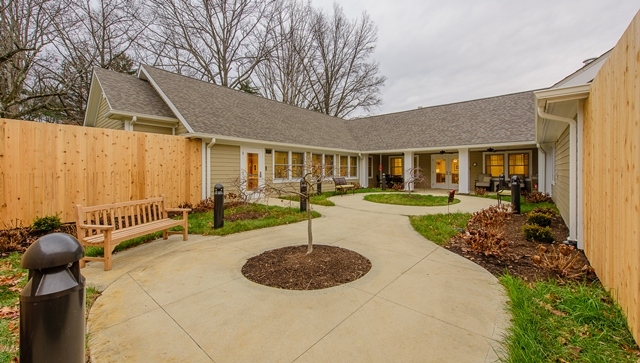 Exterior finishes include Brick and Hardi Board siding, shingled roof, concrete and landscaped courtyard.